An important Caps piece was in the Post today but it wasn’t found in the Sports section. Colby King, a Pulitzer Prize-winning opinion columnist for the hometown paper, weighed in on the sweet suite deal the DC Mayor and City Council have at the Verizon Center – two luxe suites provided to them in a deal they inked with Abe Pollin. In 2007, the City ponied up $50 million dollars for upgrades for the relatively new arena. 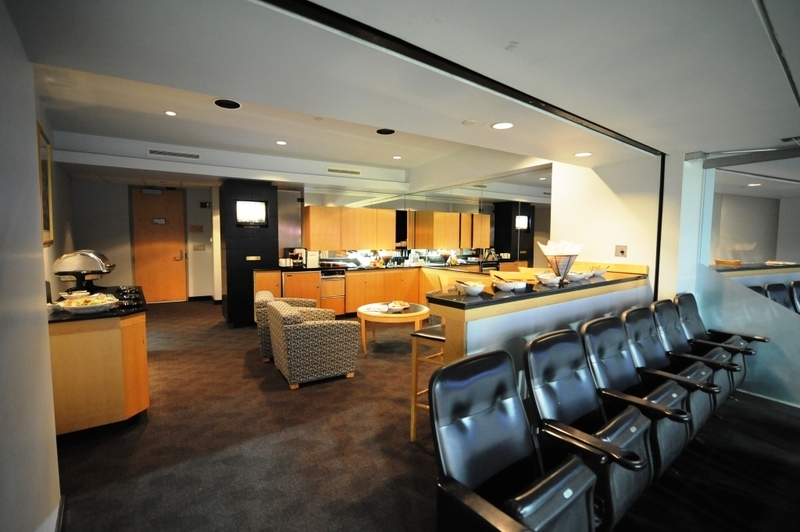 “Pollin, you may recall, gave the city’s elected leaders two suites, which are priced between $100,000 and $175,000 apiece annually, because they provided him with $50 million to upgrade Verizon Center in 2007. “Traci Hughes, spokeswoman for D.C. Council Chairman Kwame Brown (D), told me this week that no public records have been kept of who uses the luxury suite, and that a written policy on obtaining tickets to the suite was only recently introduced by Brown. That’s typical of the ruthless efficiency and cost consciousness that DC residents are all too familiar with. Those $50 million in upgrades were to “help attract top-drawer, first class, top-level events to the arena that could generate millions in tourist dollars,” according to then Council Chair, now Mayor, Vincent Gray. Mission accomplished Mr. Mayor, and the many fans of Lady Gaga, Hannah Montana and Monster Trucks are thankful for your efforts. King calls on Caps/Wizards owner Ted Leonsis to call backsies and reclaim the suites for more deserving sports fans. He doesn’t specify who, but at the going rate of $150,000 – $175,000 for a year’s lease, that pretty much leaves them available for well-heeled lobbyists only. Don’t get us wrong – we like us some lobbyists, and in full disclosure, we were the guests of a trade association on Tuesday evening for the Islanders game. Well, four of those ideas may have merit. This entry was posted in Uncategorized and tagged Colbert King, Suiteheart Deals, Ted Leonsis, Washington Post. Bookmark the permalink. Maybe I was a little off (hung over?) But when I read Colbert King’s article I was like… “yeah, and ok, so…..” I mean, the notion that Abe and Ted needed $50M to attract ” top-drawer, first class, top-level events to the arena” is sorta silly, right. I mean, after all, wasn’t that why the building was built in the first place? Isn’t that what it did its first ten years of operations? Would a “world class talent” really skip DC because the Tel Screen wasn’t HD? The whole thing is silly.